I had the pleasure of sitting in on a class at the new Park City Culinary Institute and could hardly wait to tell you a bit about it! For starters, if you missed my first post about the new Culinary school in Park City, here are the basics about the program. Just a few weeks ago the fall program began with mastering delicate cake creations and cracking open the mysteries of shellfish. The students, from all stages of life, are wide-eyed, soaking in every new food fact and demonstration from the best local chefs and teachers. 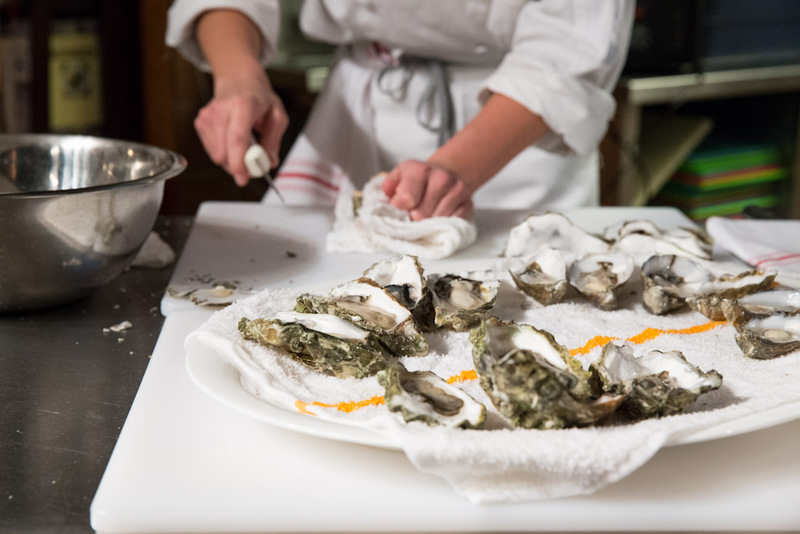 While this course is currently in full swing the Spring program is now open for applicants so if you are at all interested, check out the Park City Culinary Institute website for more info! I stood in for the Shellfish, Mollusks and Crustaceans Demonstration and enjoyed every golden nugget of info that I could get my briny, seafood soaked hands on! 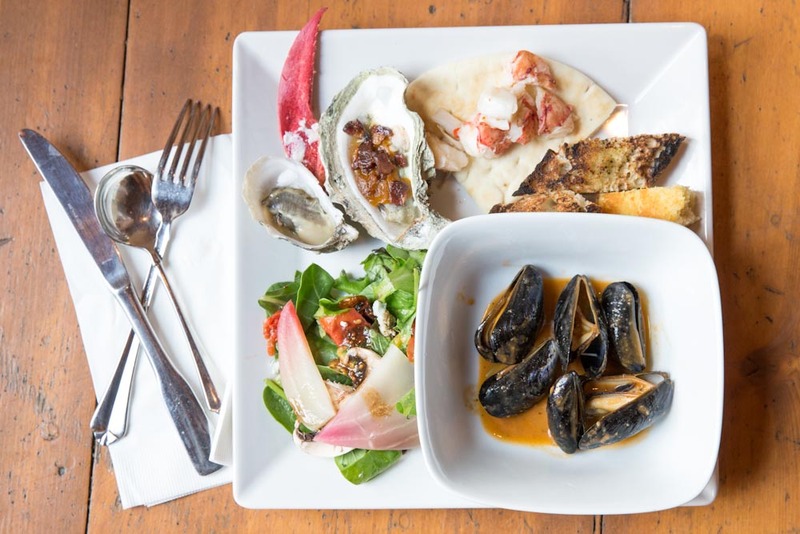 We cracked open oysters, steamed mussels with perfect timing and broke down lobster using every piece of the delicious edible creature. 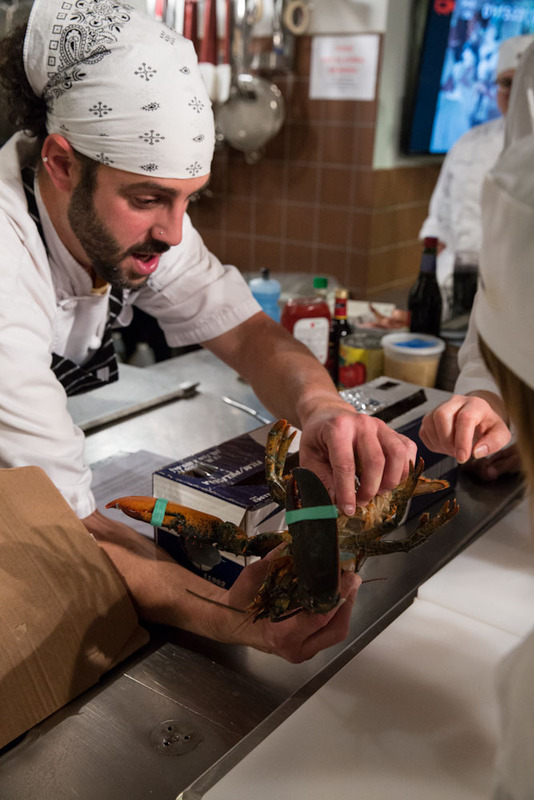 Adam, from Chia Cucina, taught not only the culinary facts about these sea creatures but also the down and dirty tips and tricks that he has learned from serving years in the industry himself. 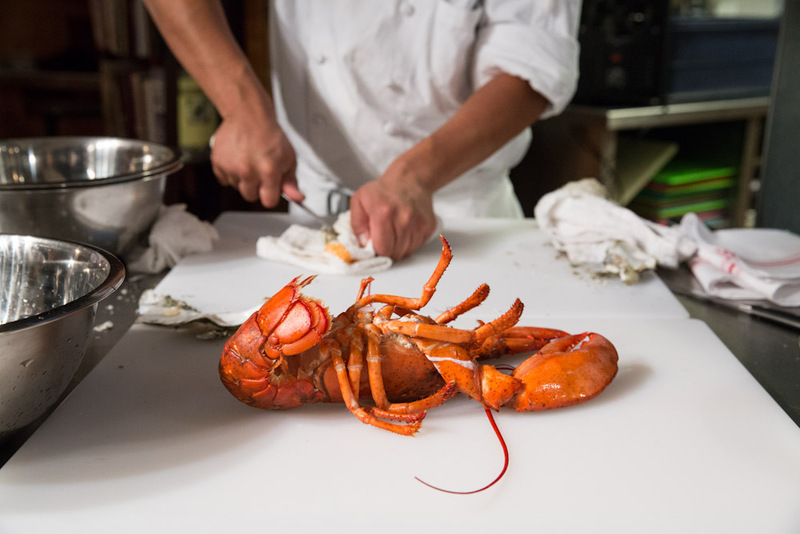 Students who came into class fearful of turning a live lobster into a full meal, left confident in quick and humane methods of lobster cooking. I got my hands dirty too, prying open gnarly oysters the first time in my life in the correct way. And after it was over, we ate. Rather, we feasted!! The students get to share a meal like this after every class. Now this is the type of culinary school just about anyone would enjoy! 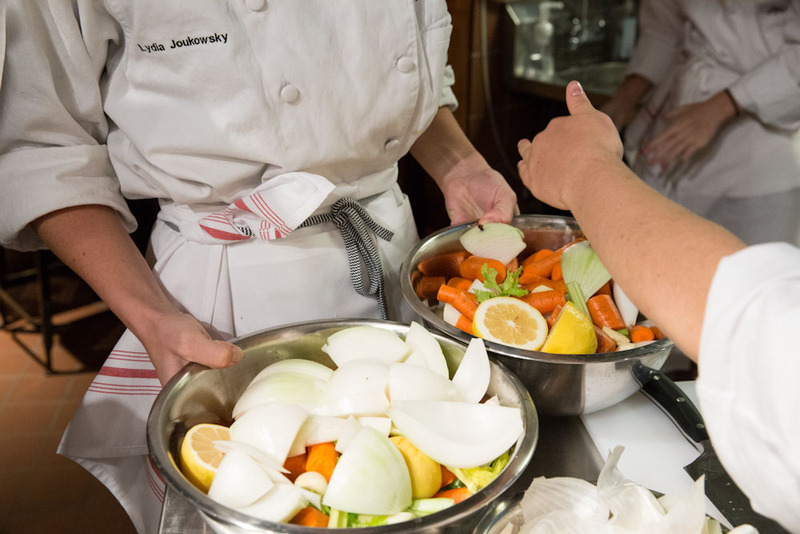 Park City Culinary Institute offers a quality education that is shorter and more affordable than other schools. The teaching chefs have over 20 years of experience, and the students are getting fought over for jobs. St.Regis, Deer Valley, Stein’s, Montage, and other high-end restaurants have been recruiting students already… They are not only getting raises, they are getting offers for full-year employment. Chefs like James Dumas from High West Distillery are not only teaching classes, but he even invited the class to his house so students can see the food he prepares at home. It’s an amazing opportunity. The facility is outfitted with flat screen TV’s, Go Pros, All-Clad pots and pans, and the students are being issued Wusthof Ikon knives. 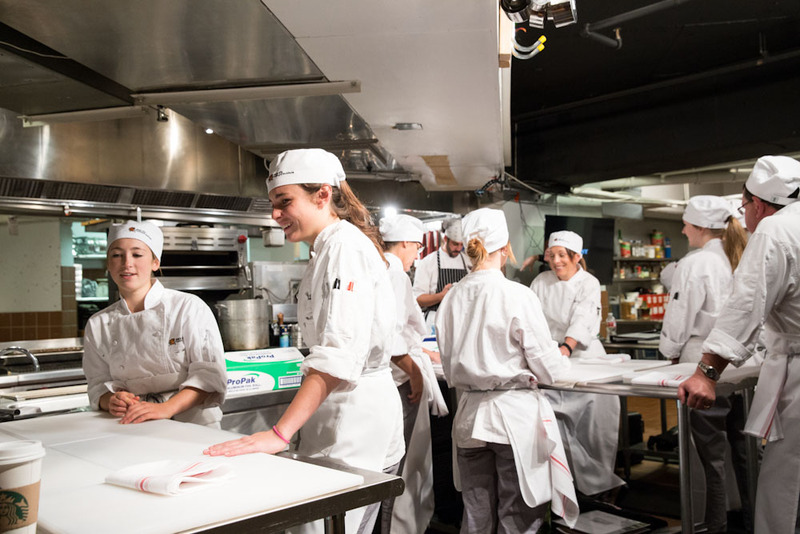 This is unlike any other culinary school in the area. The next program starts April 13, and tuition is $6,495 for eight weeks. They also offer a Spring Break Boot Camp for High School students April 6-10. Tuition if $495 if registered by March 1. My son is very interested in attending this school, we are wondering if you offer tours?